For Sale PA: 2015 Trading in, So Parting Out! [FS] PA: 2015 Trading in, So Parting Out! Thread: PA: 2015 Trading in, So Parting Out! Sadly but gladly moving into a bigger vehicle. 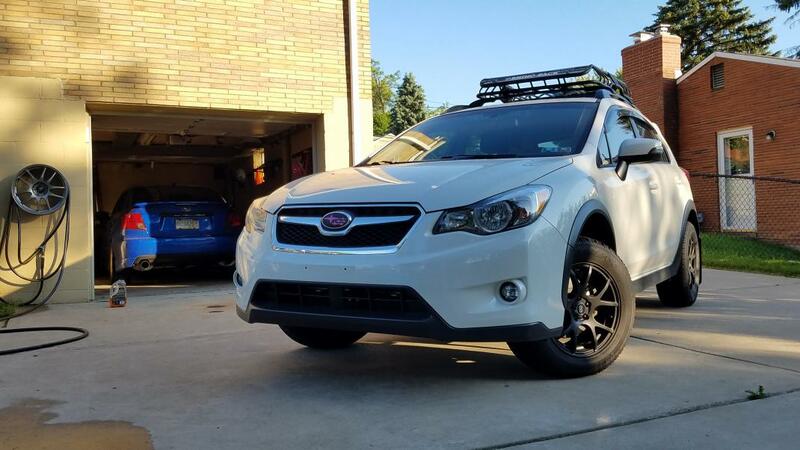 It was originally between a Subaru Accent Touring and a Toyota TRD Pro Tacoma. BUT.. I accidentally took the wife to the autoshow and let her sit in the 2019 Ram Rebel..
Soooo, last week I ordered a build on the truck to my spec. 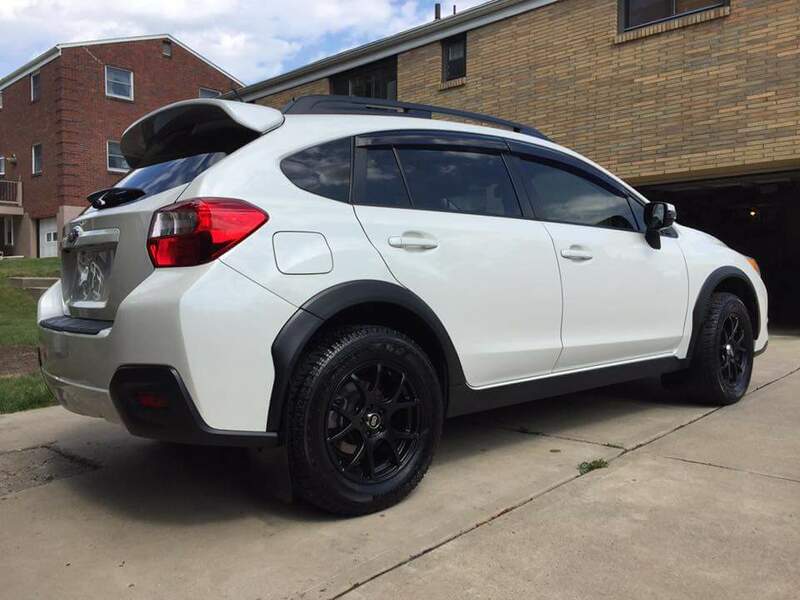 I negotiated a pretty good deal for the Crosstrek without any oh my parts on it so I'll put them up here. 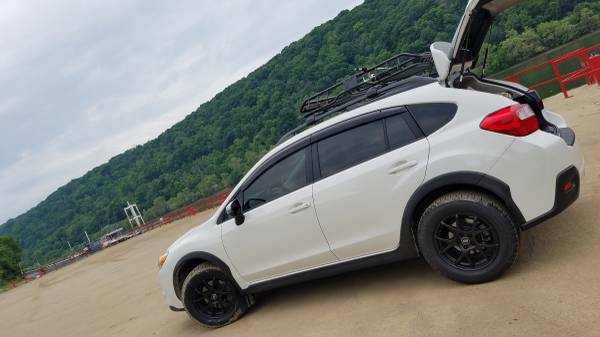 Obviously these parts fit more than the 2015 Crosstrek. Prices do not include shipping. Wheels are in PERFECT condition, not bent, scratched, chipped. etc. Static balanced 00 across the board. TPMS sensors are installed. You simply need your shop to scan the stems and get the tpms ID's to program to your car. Then you will not have a tpms light. Last edited by Kinger124; 04-14-2019 at 11:57 PM. BUT.. I accidentally took the wife to the autoshow and let her sit in the 2019 Ram Rebel..
are the fog lights still available? How easy/hard are they to install? Possible to get a close up of the yellow laminX installed on them? 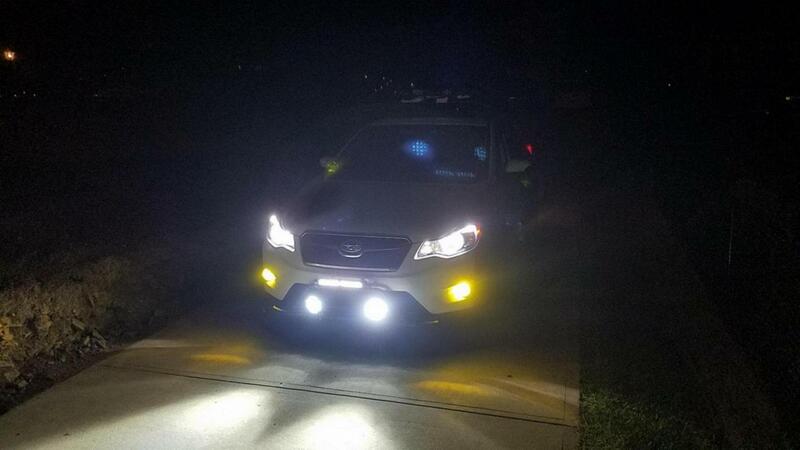 I have yellow overlays on my stock fogs and they didn't come out the greatest =/ also, possibly a picture with the fogs on at night. Sorry to be a pain thanks! are the fog lights still available? How easy/hard are they to install? Possible to get a close up of the yellow laminX installed on them? 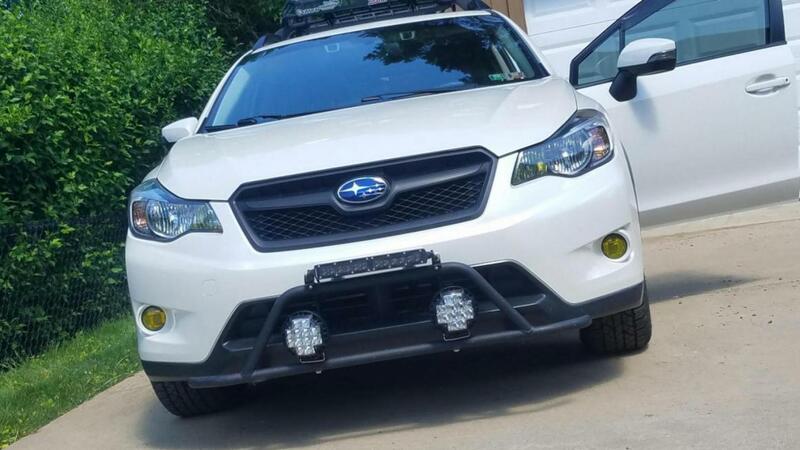 I have yellow overlays on my stock fogs and they didn't come out the greatest =/ also, possibly a picture with the fogs on at night. 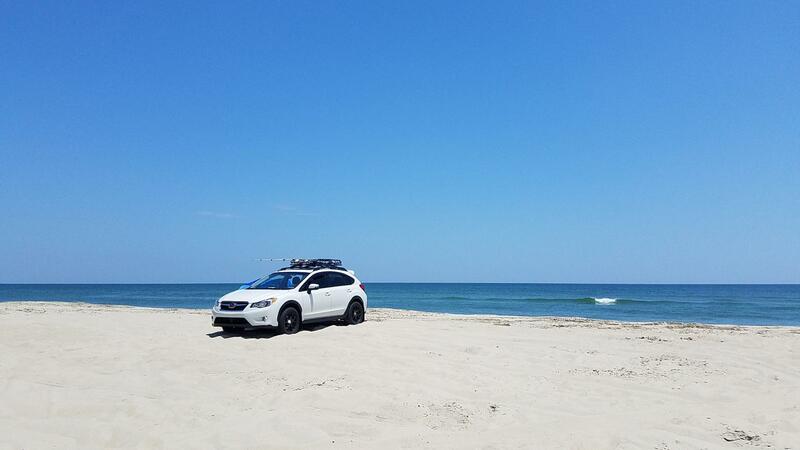 Sorry to be a pain <img src="http://www.subaruxvforum.com/forum/images/smilies/biggrin.png" border="0" alt="" title="Big Grin" class="inlineimg" /> thanks! Yes i have them. It's no pain. I considered them a fun install. They are plug n play too so all you have to do is swap housings. Me and my daughter did it in about 2 hours. Pausing for popsicles as well. The difference is night and day. BRIGHT! Last edited by Kinger124; 03-21-2019 at 10:51 AM. Removed the lightbar, basket, rain visors, flaps, and cross bars tonight. $60 for rain visors shipped to 91320? [Sold] (SoCal) Parting Out Silver Rear Passenger Door - Window, Panel, etc. So what mods have you guys done so far?